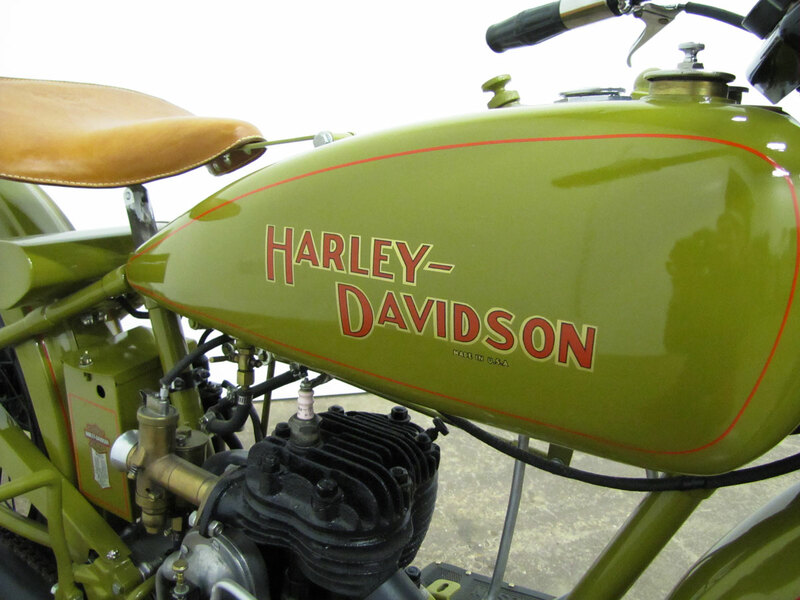 From the beginning in 1903, the single cylinder engine was a mainstay for Harley-Davidson and most other motorcycle manufacturers. 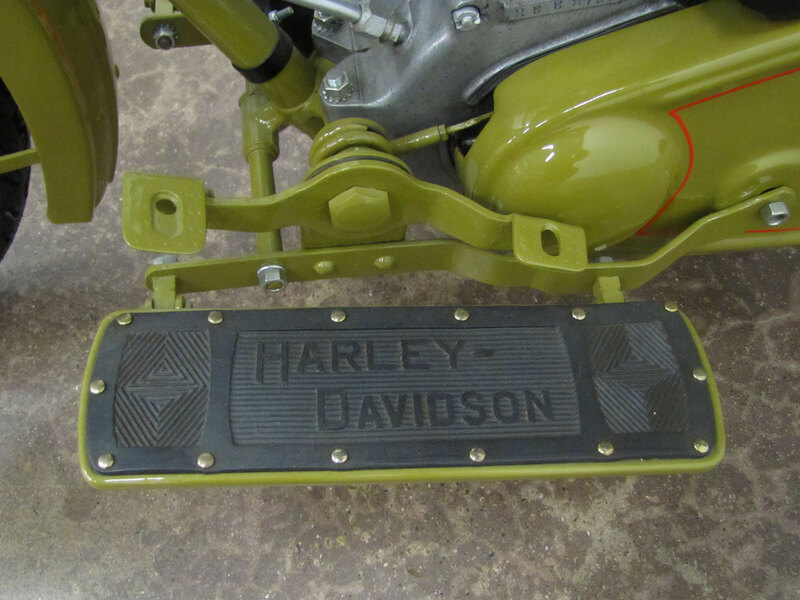 It was not until 1909 that Harley-Davidson added the V-Twin design. 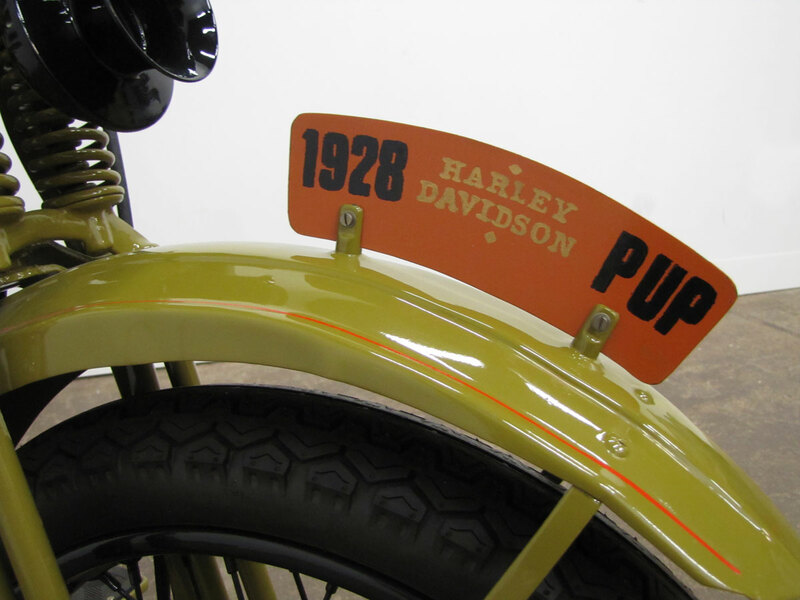 Introduced in 1926, by 1934 these 21.1 and 30.50 cubic inch singles were gone from the lineup. 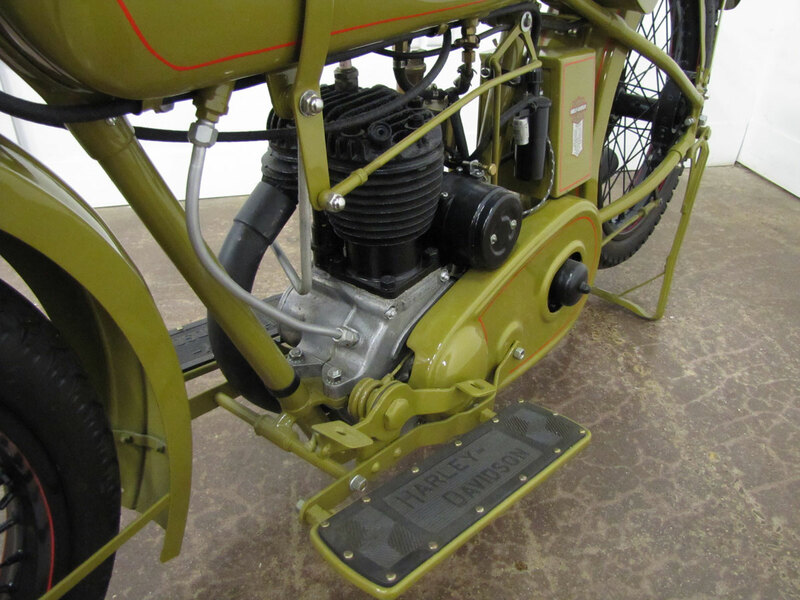 Next up was the Model C as Harley’s lightweight followed by a variety of DKW-based designs. 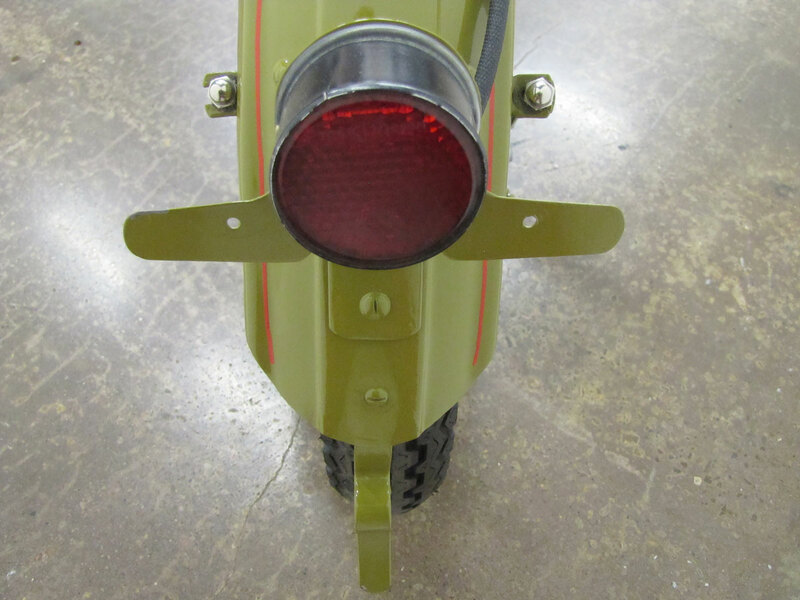 That was until the Aermacchi line up was added in the 1960’s, and much later the Buell Blast. 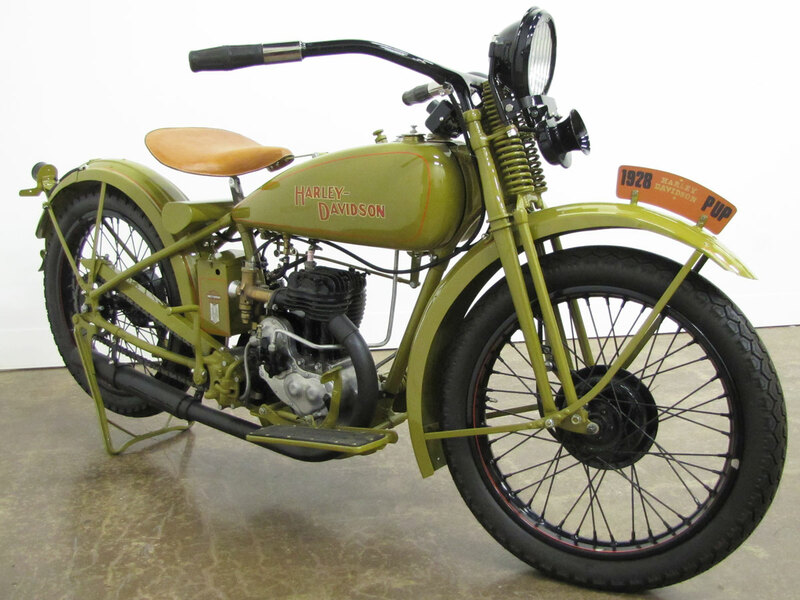 The Model B featured this week was introduced in 1926 and constantly upgraded and modified to meet demands of export to foreign markets where it was most popular. 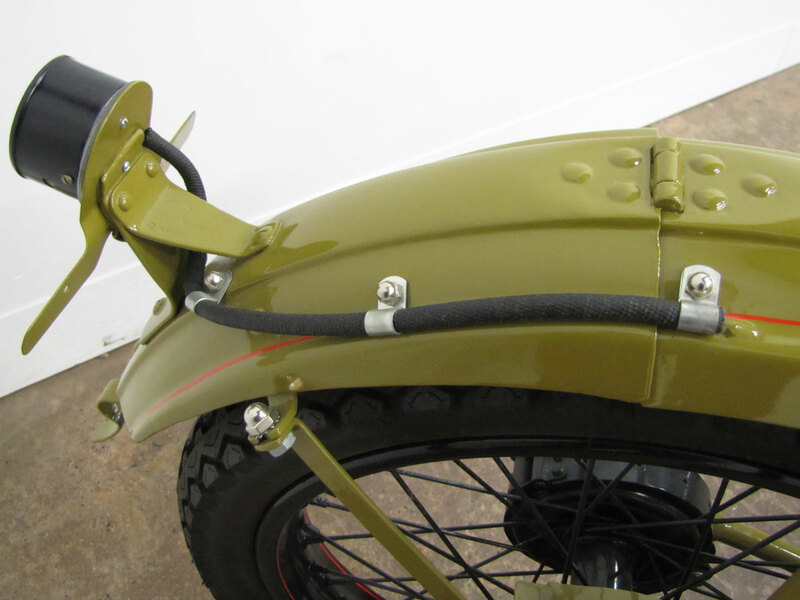 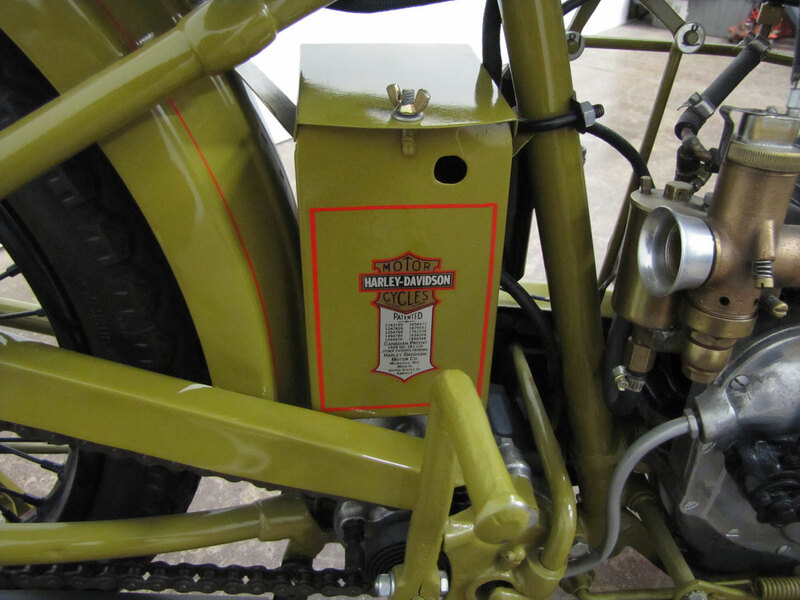 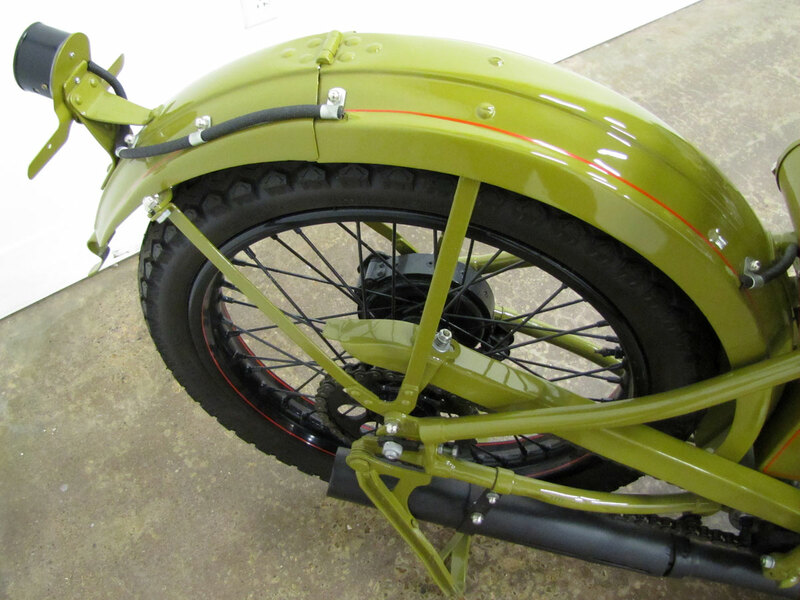 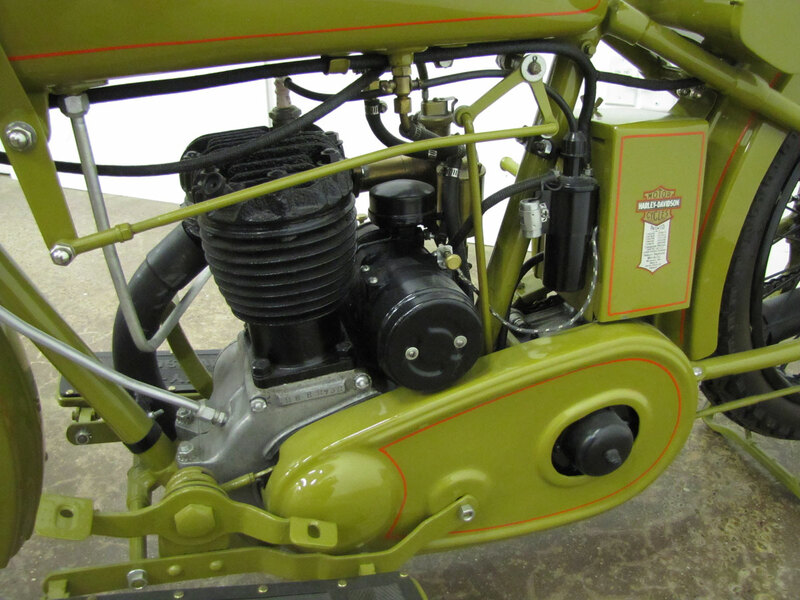 Wheels, fuel tank and fenders were very similar to the big twins of the time, so the 21 cubic inch vertical single engine looks a bit small in the single down tube cradle frame. 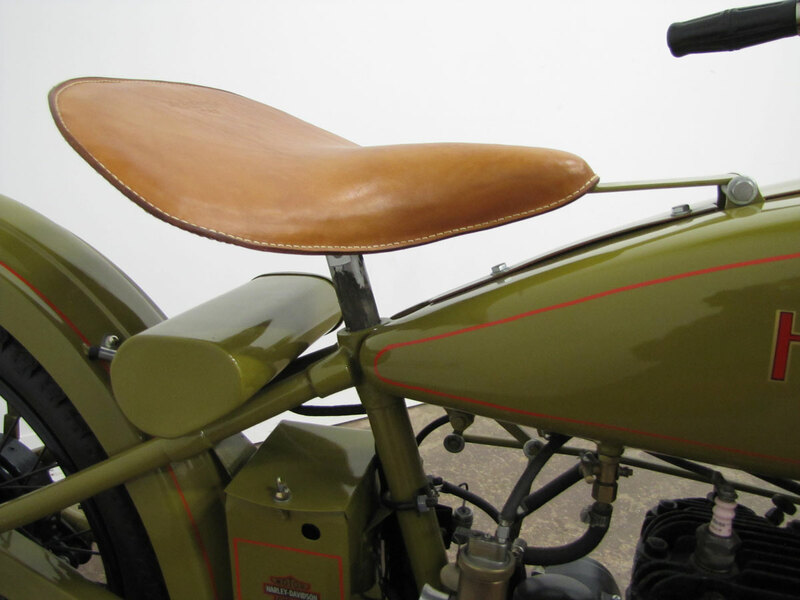 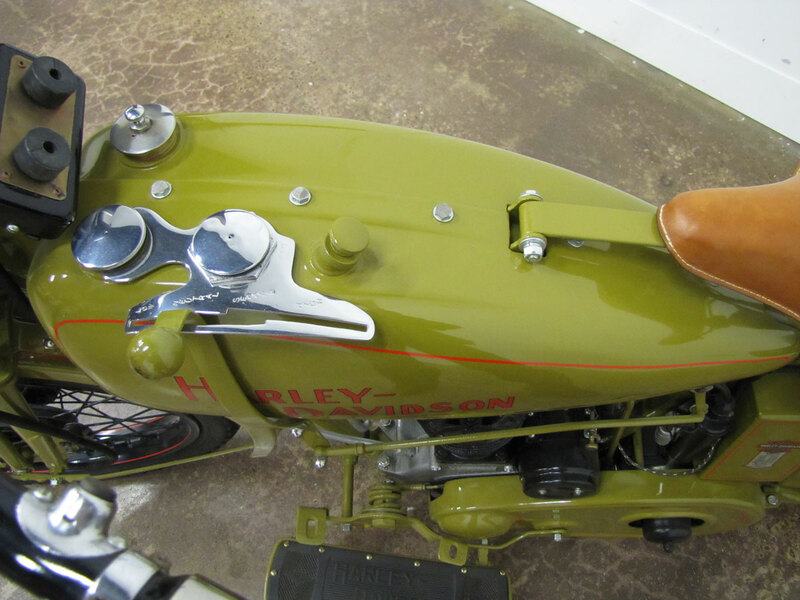 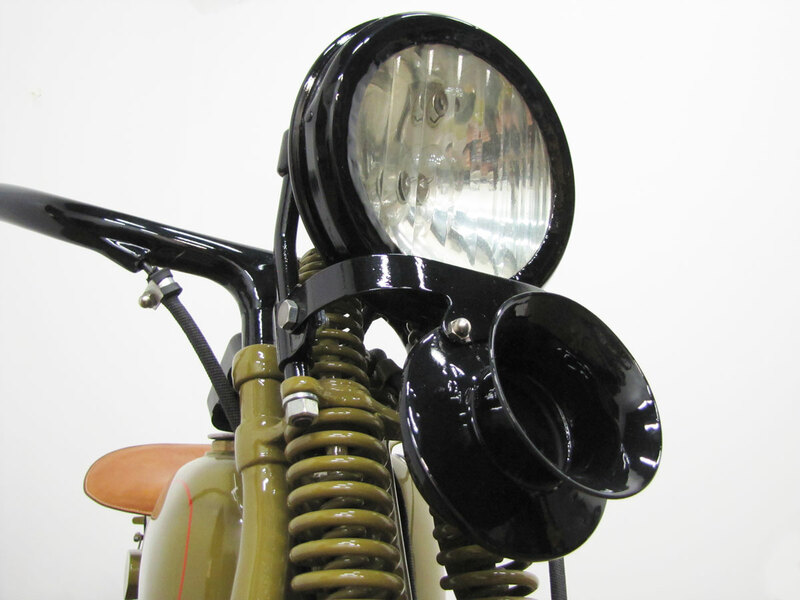 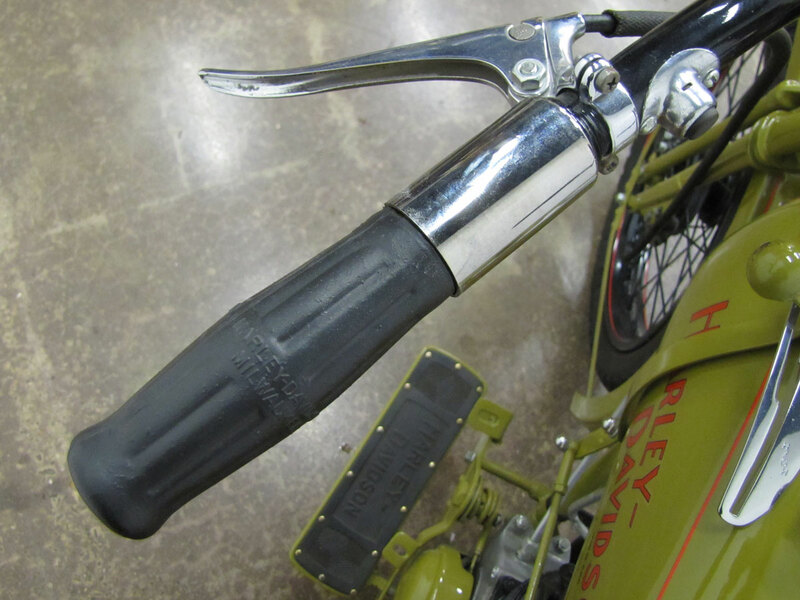 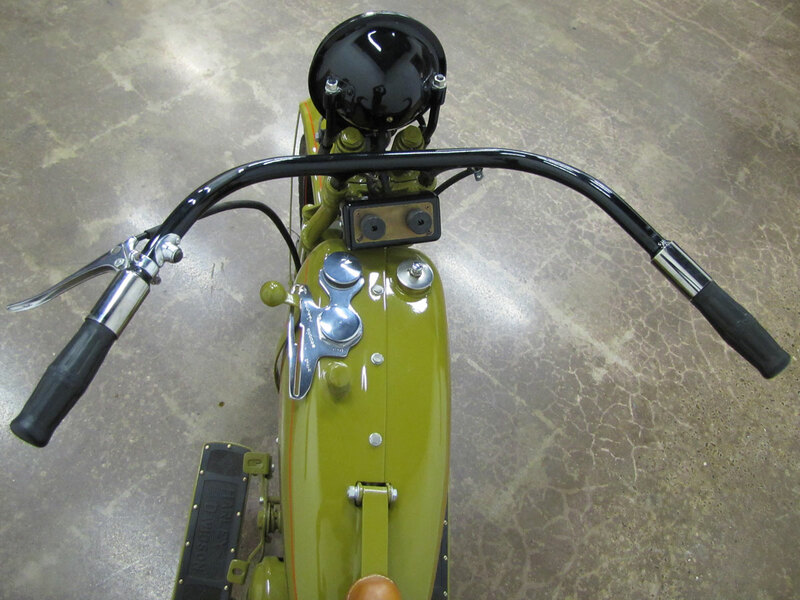 The single was even made in some overhead valve versions nearly 10 years before OHV design hit the twins with the introduction of the 1936 EL, now referred to as the Knucklehead. 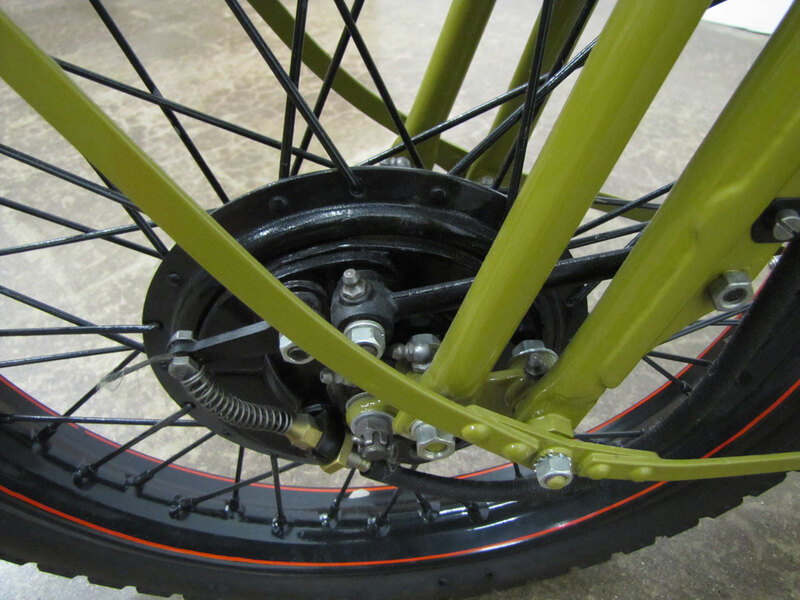 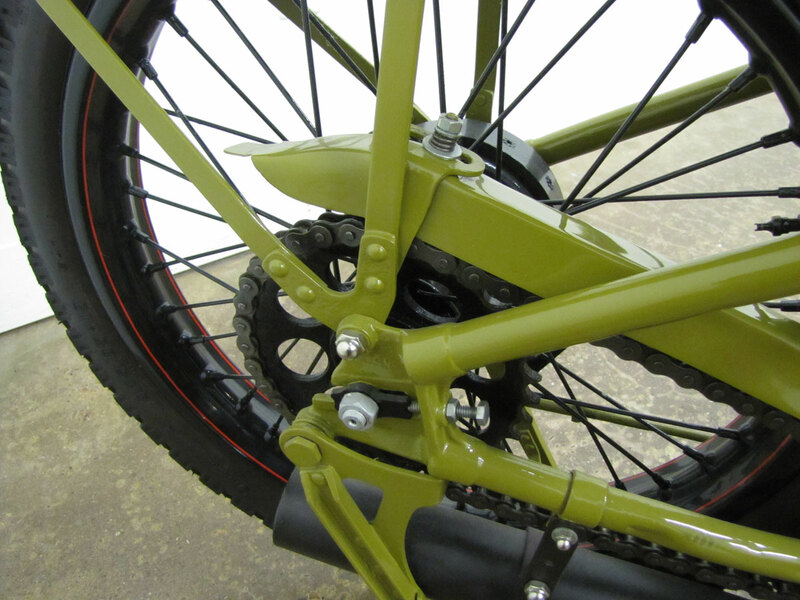 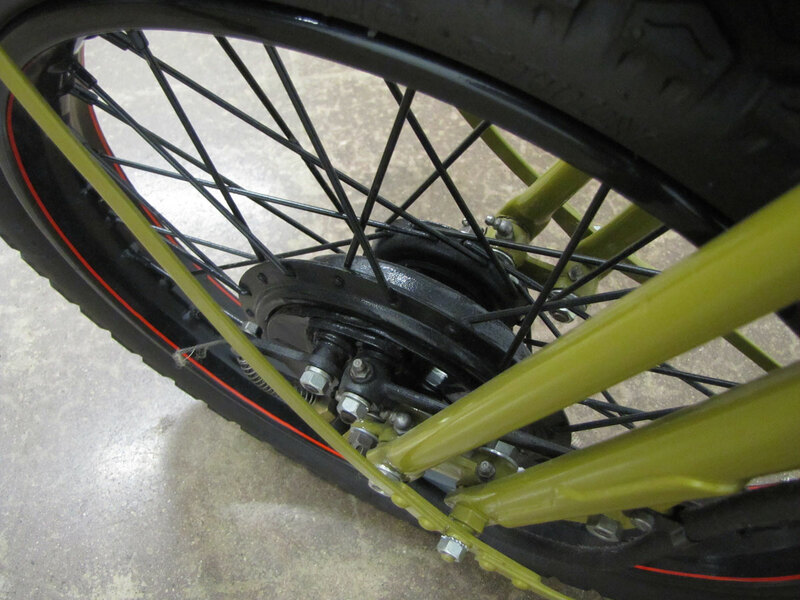 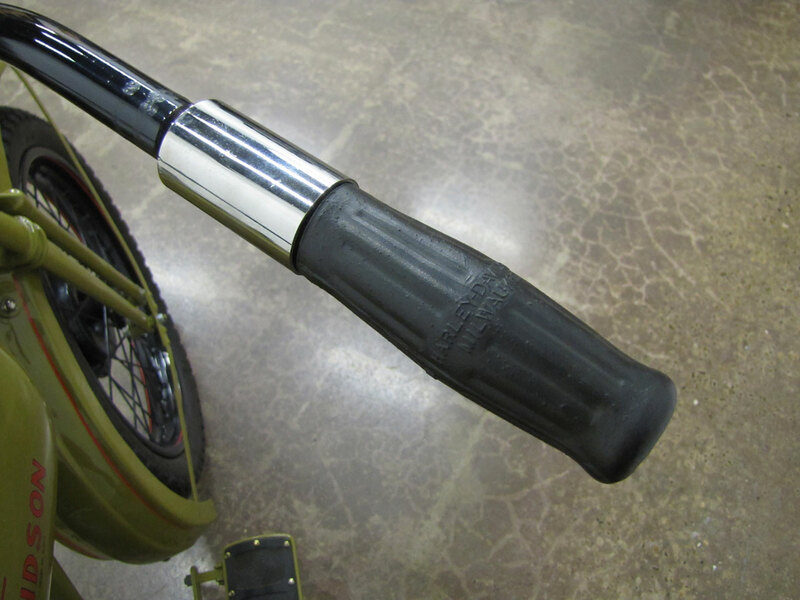 The OHV design was used on the 30.50 “Peashooter” track bike, but most racer components were quite exotic and only looked like production versions. 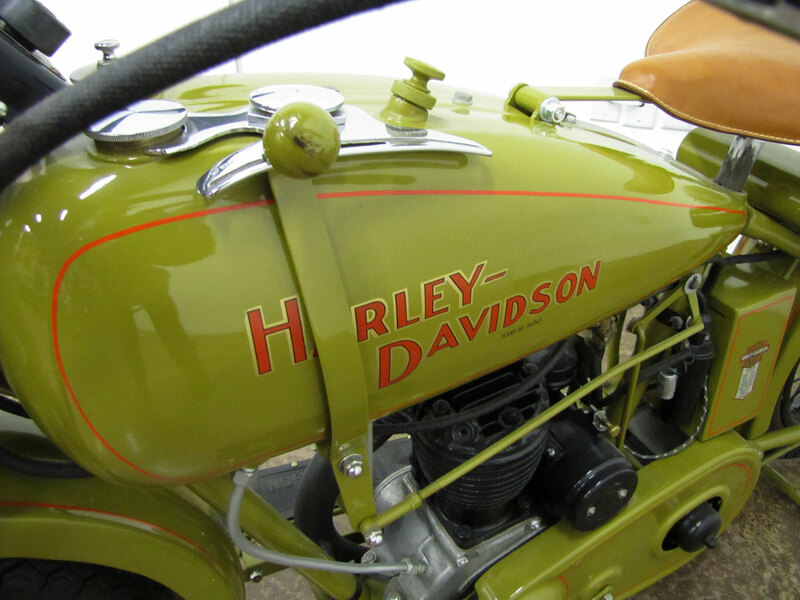 Though the facts are yet to be determined, it has been stated many times that Harley-Davidson licensed the “squish head” design of Harry Ricardo, even directly consulted with him. 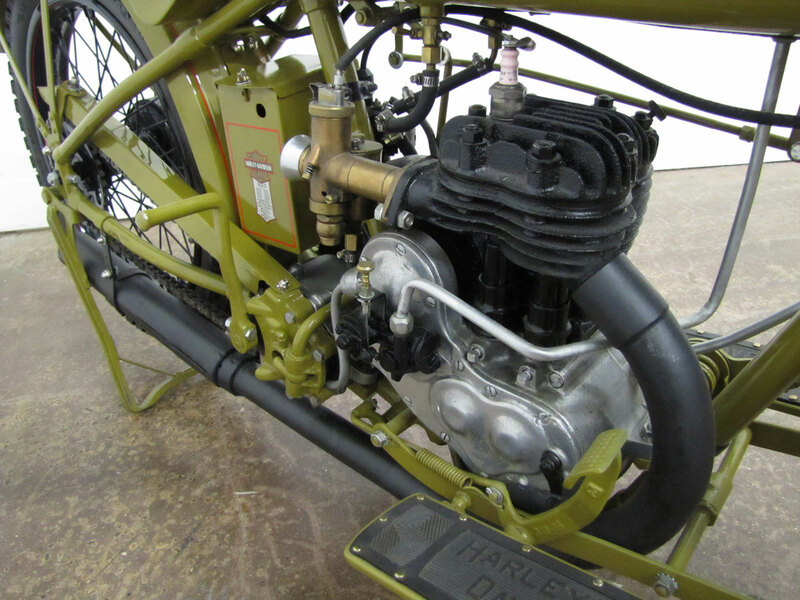 Ricardo was a British engineer working on a variety of projects around World War I and was famous for his understanding of combustion chamber and cylinder head design. 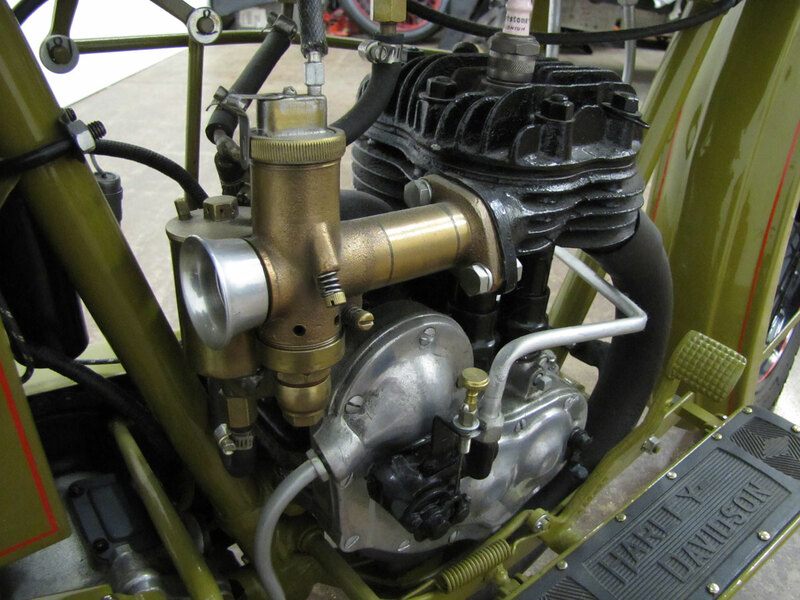 He determined that swirling the fuel/air mixture in the combustion chamber gave the most efficient combustion, even in Diesel engines. 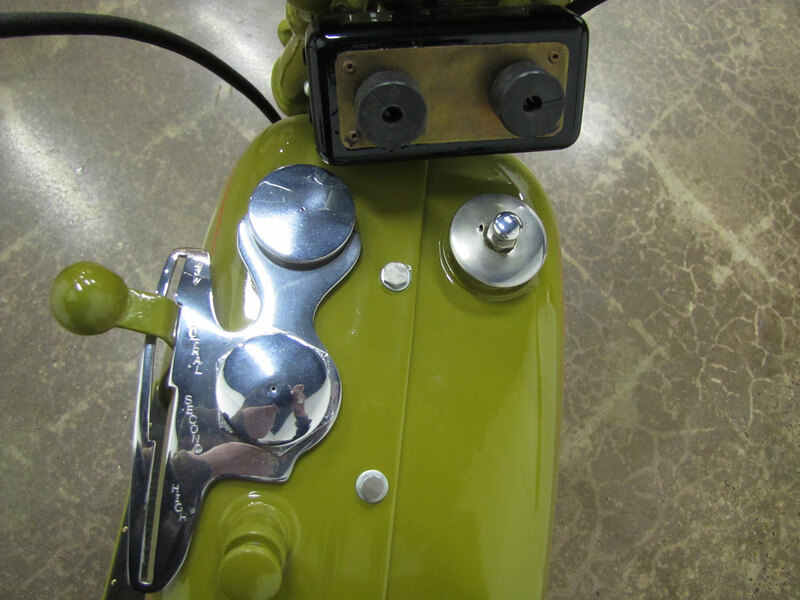 In any case the head design reflects Ricardo’s important work. 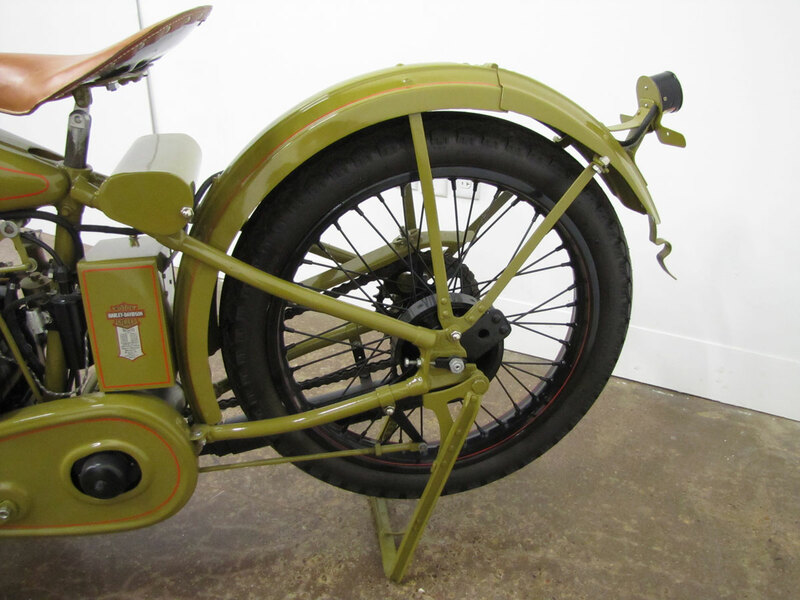 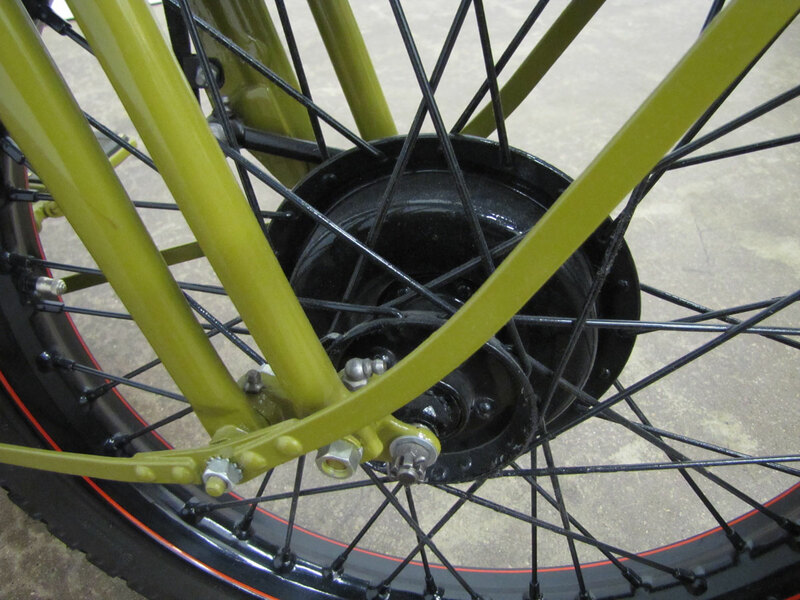 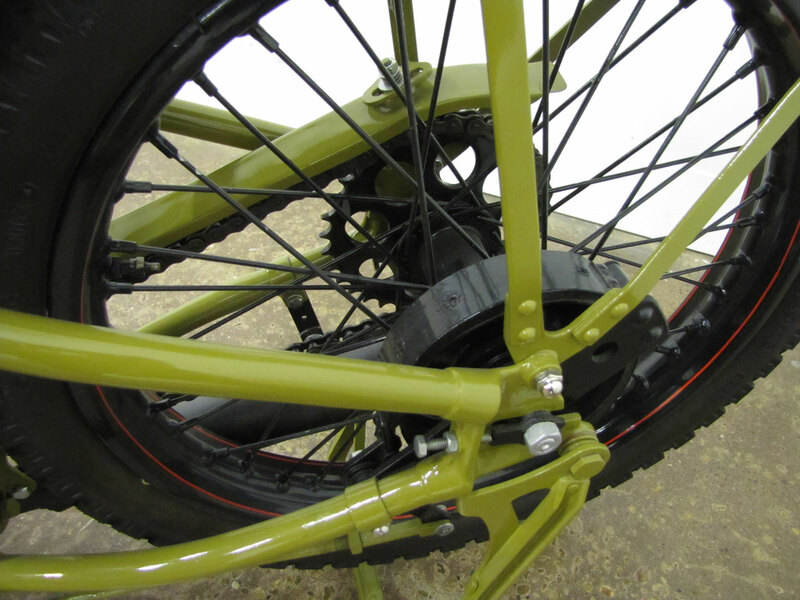 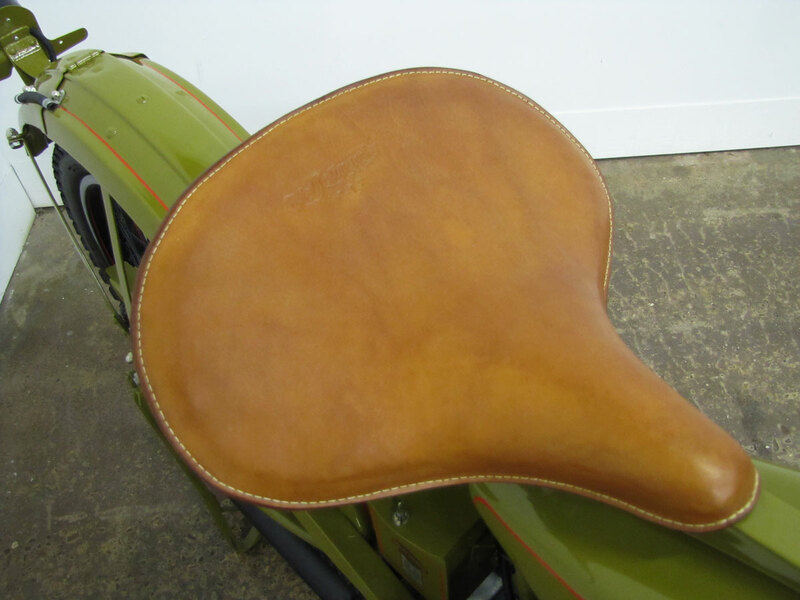 Originally offered with a rear band type brake only, over time a front brake was added along with a wider handlebar and fenders. 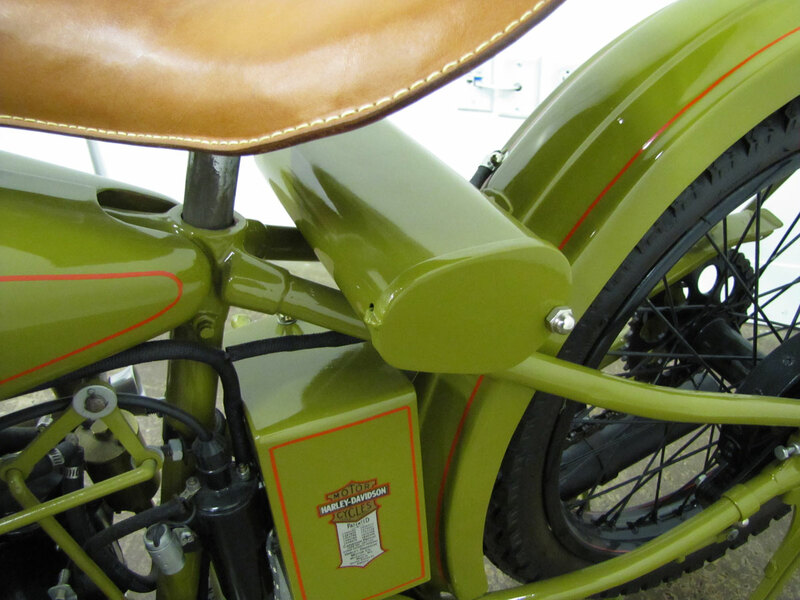 The paint was the handsome olive of the time using orange and red accents. 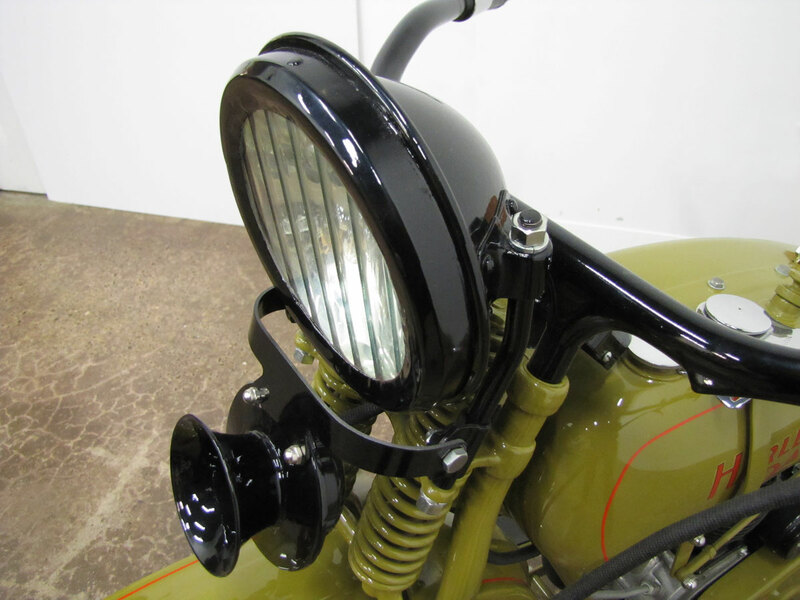 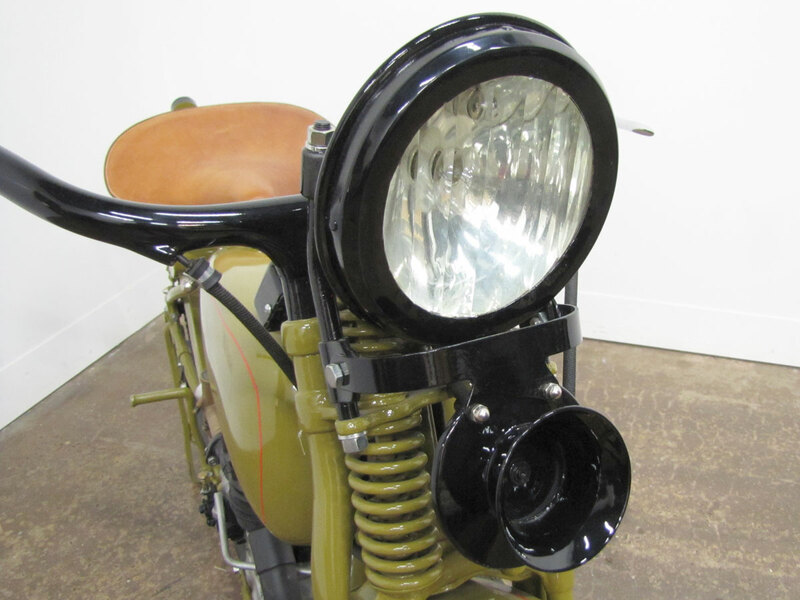 Dual headlights were employed on some export models to meet national regulations. 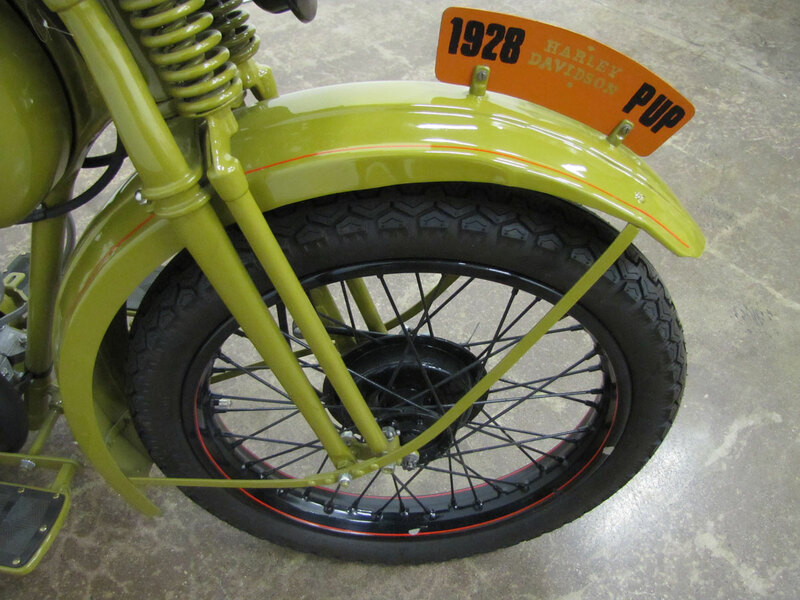 Though not very powerful, the 28B was a nimble 269 pounds according to Harley literature. 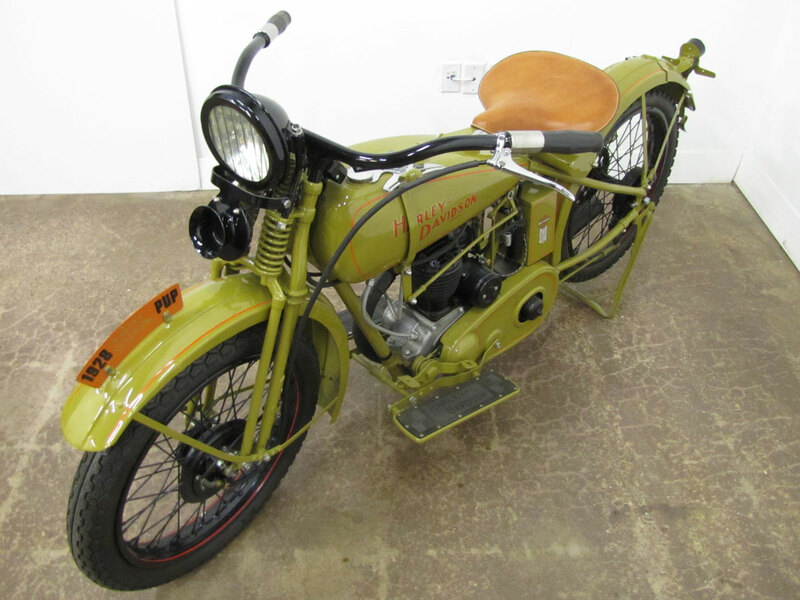 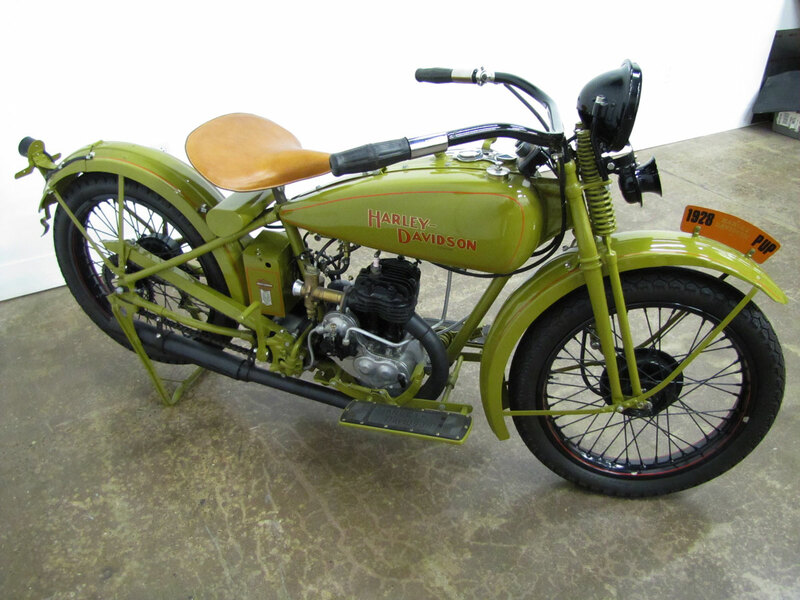 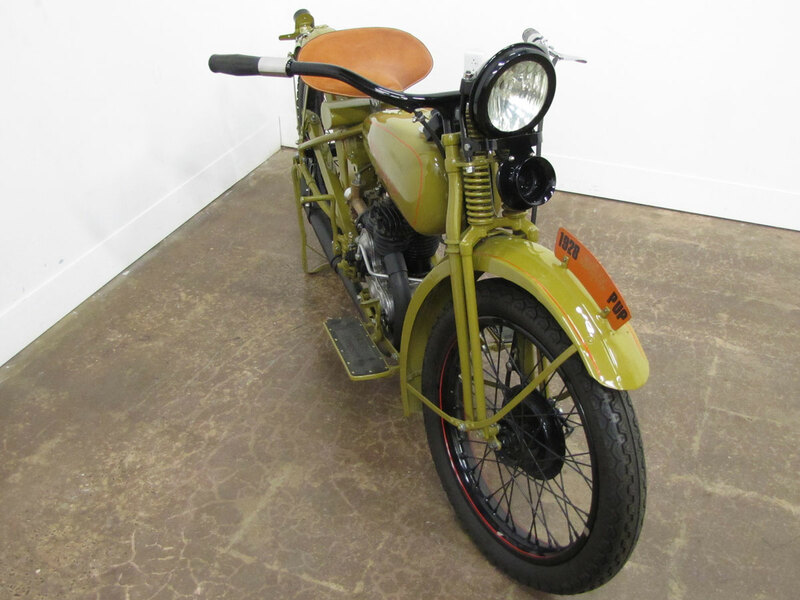 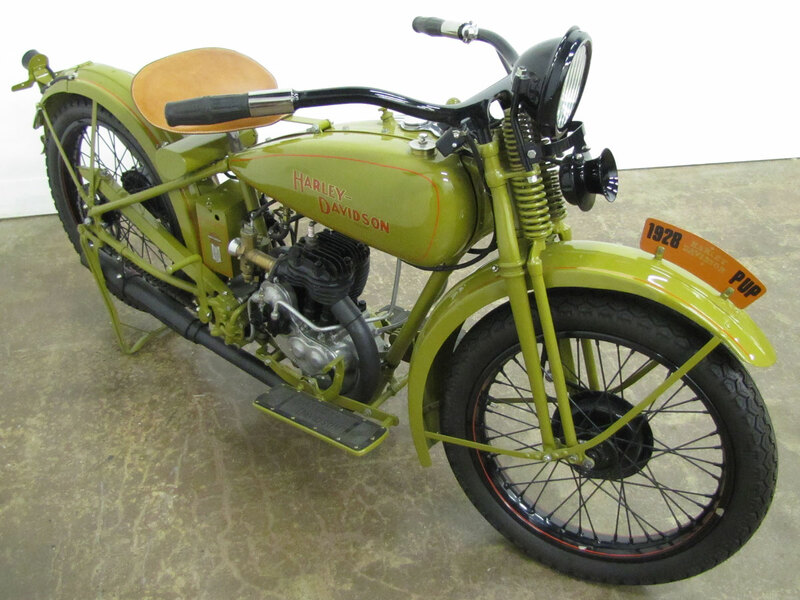 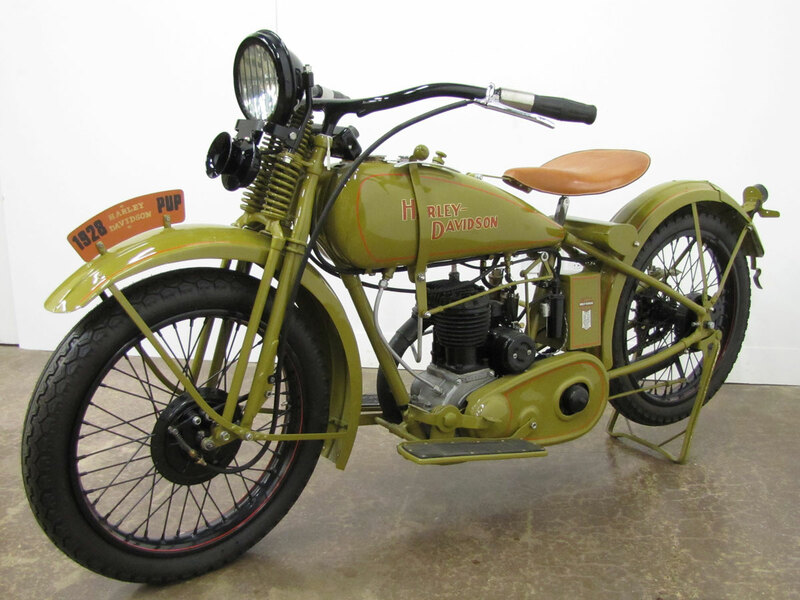 When you visit the National Motorcycle Museum you can take in dozens of single cylinder motorcycles including a very early Curtiss, a “strap tank” Harley from 1908, a Vincent Comet, several BSA Gold Stars and other British singles including Rudges and Velocettes. 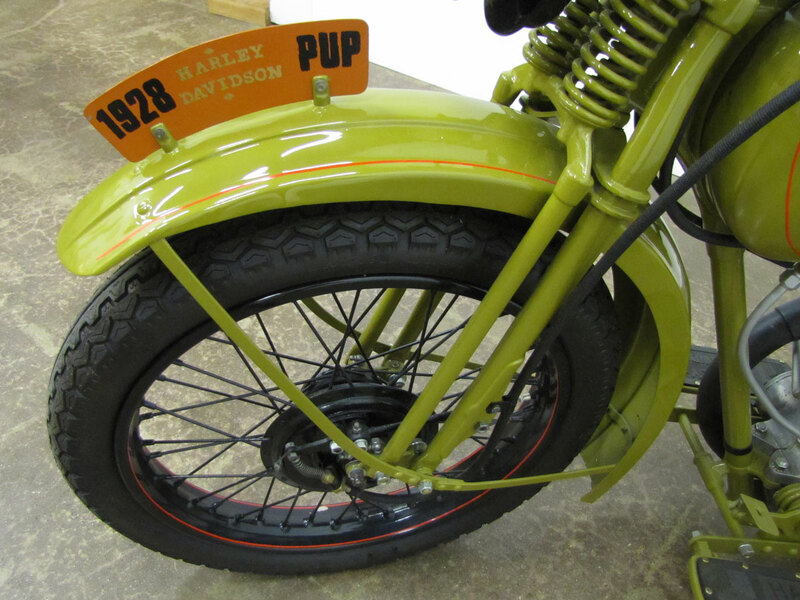 There are also dozens of off-road machines that are part of DIRT RIDING USA presented by J&P Cycles on display, but only through December 2018.